Ever tightening legislation is causing concern over the industry’s future. On January 1, 2016, the first elements of EURO 4 went live. Brought in principally to further reduce the volume of emissions from two and three-wheeled motor transport, the new legislation is the strictest directive motorcycling’s ever been subjected to, having evolved substantially beyond the original Euro 1 decree of 1997. Introduced to unify standards across the European Union member states, the inaugural EURO 4 ruling saw measures set out to standardise components such as lighting, tyre-type and even rear-view mirrors. But perhaps its most notable influence has been on emissions. By today’s standards, those initial rulings could be considered relatively tame, albeit proving substantial enough at the time to have had a severe and deadly impact on the production of two-stroke engines. Euro 4 says that a typical full-size bike will have to see a drop of carbon monoxide emissions from two grams per kilometre (g/km) to 1.14g/km. Mono-nitrogen oxide (NOx) levels will go from 0.15g/km to 0.09g/km, while hydrocarbons will fall from 0.3g/km to 0.17g/km. 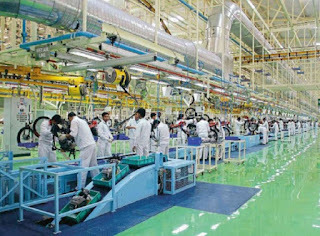 And the enforcements don’t stop there, as there’ll also be a 20,000km durability test for all machines, to ensure the levels are maintained. Manufacturers have to work hard to clean up their game. If you own a classic, EURO 4 won’t have any impact on it or you. It’s important to point out that this constraint is only enforced on all NEW motorcycle models released as of 2016. However, come January 1 next year, all existing models in production will have to be retrofitted with the necessary technology to see them grace EURO 4, though 10% of old stock is allowed for. On top of a fuel evaporation test to ensure petrol isn’t sneaking out of fuel lines or past filler caps, all new bikes need to feature Automatic Headlights On (AHO), plus ABS as standard on machines larger than 125cc – smaller bikes will need either ABS or a linked brake option. All will also need full On Board Diagnostics 1 (OBD1), which will allow standardised access to a bike’s electronics to determine whether components such as ABS and fuel injection are working correctly. The more advanced OBDII will become compulsory in 2020 with Euro 5, which also will see emissions reduced still further. Not every manufacturer bows to the demands of EURO 4, especially some factories in Asia. 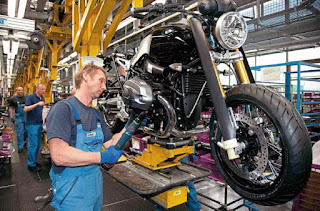 It takes an average of five years to develop a new motorcycle and costs millions in the process. Modifying a machine to meet new standards can be inexplicably expensive, to the extent that some manufacturers might consider simply walking away from lower-selling models, rather than giving them the attention Euro 4 requires. Yamaha UK’s marketing manager Jeff Turner is pragmatic about the change: “The introduction of EURO 4 should not make too much of an impact on most motorcyclists. It’s a simple case of manufacturers having to meet new regulations. We’ve known about the legislation for quite some time and have already factored it into our production planning and future ordering to suit the relevant deadlines. It’s very unlikely that there will be much unsold stock at the end of 2016 that does not already comply with Euro 4, especially as the UK motorcycle market is growing. Because demand is high for our machines we predict that there will be very few unsold units at the end of this year, regardless of any regulation changes. It will be like any other evolution of a product line, with the current year models being sold before the new machines become available – except that in this case the new machines will be EURO 4 compliant; so I’m afraid that if you are hoping for a heavily discounted end-of-season purchase you might well be disappointed. Luke Brackenbury, KTM PR manager for Street, said: “Making our range of bikes compliant to EURO 4 is just the kind of challenge KTM engineers want – to improve the bikes further by making them cleaner and more efficient without losing any performance but to in fact gain some more! 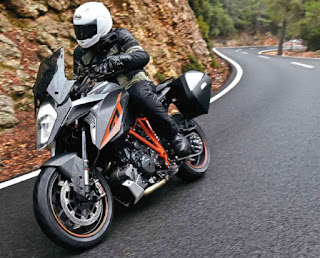 The massive changes to the single cylinder LC4 engine in the 2016 690 Duke and 690 Duke R and the LC8 V-twin in the 1290 Super Duke GT is proof of that! We’ll also be likely to see more small-capacity bikes available. Jeff Turner elaborates: “In the future we will only supply motorcycles that are manufactured as A2 compliant from the factory, meaning the dealer is no longer able to modify them, and they remain A2 compliant for their lifetime. Many riders may choose to stick with the smaller capacity bikes, but this is another reason we’ll expect to see an even greater increase in the use of PCP deals, which make it very easy for riders to change their bikes as their experience matures. Two strokes are particularly susceptible to legislation reprimands owing to their oil-burning nature. EURO 4 can’t impact on pre-2016 built machines retrospectively. That’s great news for all bike owners, but especially for those who own classic motorcycles, which would have more than likely been hit the hardest. Euro 4 is also likely to see a raft of new models arrive. 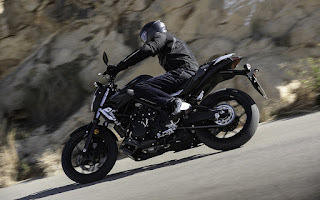 While some brands have already managed to crack the constraints of the new legislation–such as Ducati with its Monster 1200R and its larger capacity 959 mid-range sports bike–others are still playing catch up, or ‘developing’, which is probably the more accurate way to phrase it. The end result of which will inevitably see a rise in the number of new models released for 2017, as was the case when Euro 3 came into play. But, owing to the extensive amount of time and money that’s had to be pumped into machines to meet Euro 4, model prices could creep up; the fitment of ABS, diagnostic equipment and cleaner running engines is sure to take its toll. 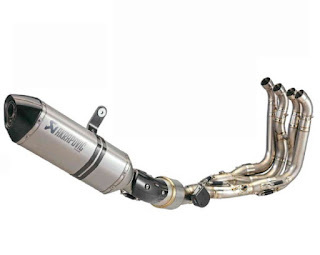 It’s not all down to the size of the exhaust, but larger chambers and purifying converters are likely to be a common feature on EURO 4 bikes. As January 1, 2017, looms most major manufacturers will have got on top of the new legislative demands and will be producing EURO 4 compliant machines. 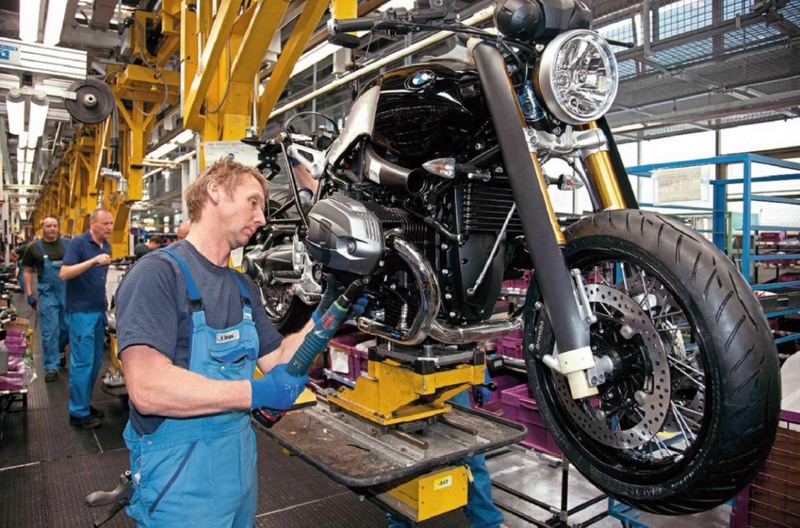 In the run-up to this period they’ll be scaling down production of non-compliant models, to try and ensure they’re not left with a warehouse full of bikes they legally can’t shift. This being the case, there might be the odd corker of a deal to be had down your local dealership. Supposing dealers still have stock of non-Euro 4 compliant motorcycles come the end of 2016, they could pre-register a bike ahead of 2017.